Has anybody around here tried Wild Hare yet? Well, when I was a young Arctic Trooper, in Alaska, I confess, we baked up a few wild hares in the yukon stoves. I thought they were pretty good myself but, when the alternative is a frozen MRE??? He was very kind. I remember him. Remembering is what we do man. You are one of the good ones too Corey. I'm glad you're here! I like it. There was some buzz about the Malaga pipes a few years ago on 1.0. I can't remember who was talking about them...maybe @IMpipedude. Anyway, it was some member from Michigan. 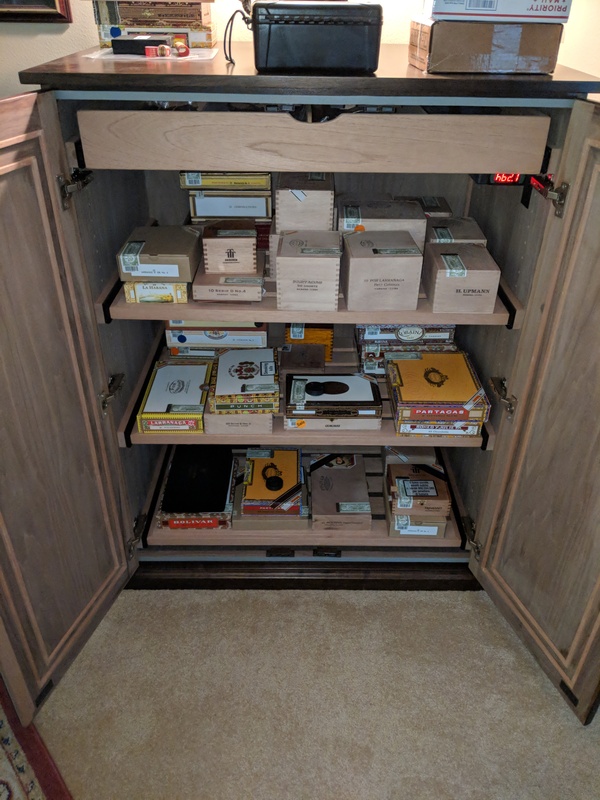 Again, I like that Ras K.
Wanted to share my humidor. Started smoking cigars in 2000, but got into Cubans a couple years ago, so had to get the monster humidor to store them all.